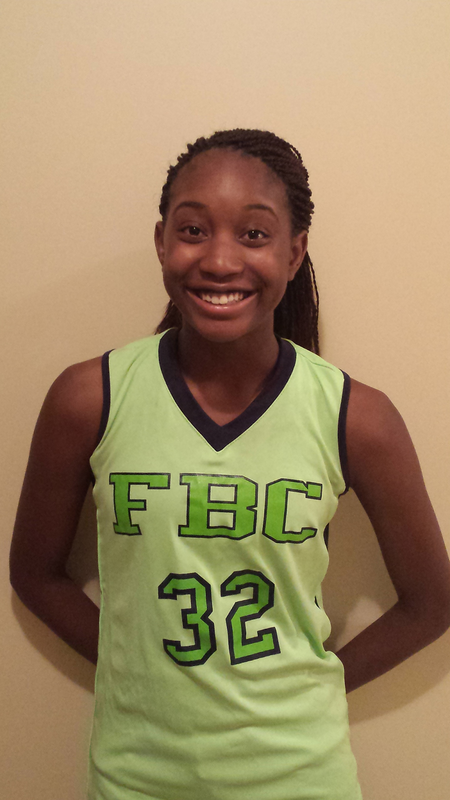 EVE CRAWFORD DOING HER THING AT THE SCOUTS FOCUS ELITE 80 SHOWCASE FALL 2014. GTHING HAS PICK UP THERE TICKET THIS YEAR TO SEE SNOOP,THAT'S RIGHT SNOOP WILL BE IN THE BUILDING IN HAMPTON VA, TO PUT ON A SHOW, SO GO OUT IN GET YOUR TICKETS. 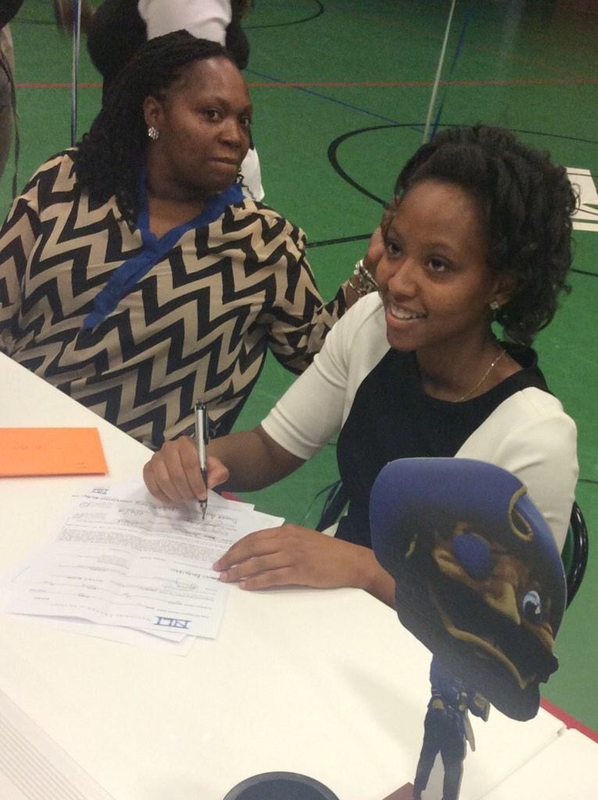 SNOOP (DEJANE) JAMES THE 5'5 POINT GUARD FROM CONNECTICUT WHO DECIDED TO SIGN WITH THE UNIVERSITY OF HAMPTON ON WEDNESDAY TO SHOW OFF HER TALENT IN THE SOUTH IS ONE OF CONNECTICUT'S TOP HIGH SCHOOL AND AAU PLAYER FROM THAT AREA. HERE IS A BRIEF SUMMARY OF JAMES BIO FROM HER LONG TIME COACH REGGIE HATCHETT. 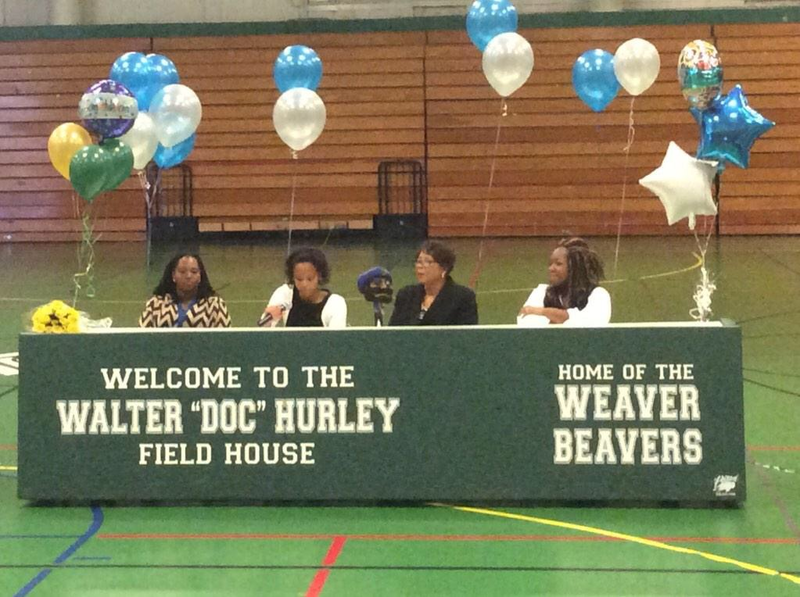 Dejane "Snoop" James signed her National Letter of Intent to attend Hampton University on Wednesday at Weaver High School in Hartford, CT. The 5'5" PG was #7 in the nation in assist per game last year. She finished her junior year averaging 19.8ppg, 8.9apg and 4spg. She led Weaver to an appearance in the state final which was her third straight year leading her team to a state final. Snoop says she chose Hampton over the other offers because they presented the best opportunity for her to exhibit her talent, the family environment they showed on her visit, and also because of the success the school has had in recent years. Snoop gained national attention by participating with the boys AAU team "CBC" on the Basketball Spotlight Circuit. She was one of the first girls Mike Melton did a spotlight feature on. 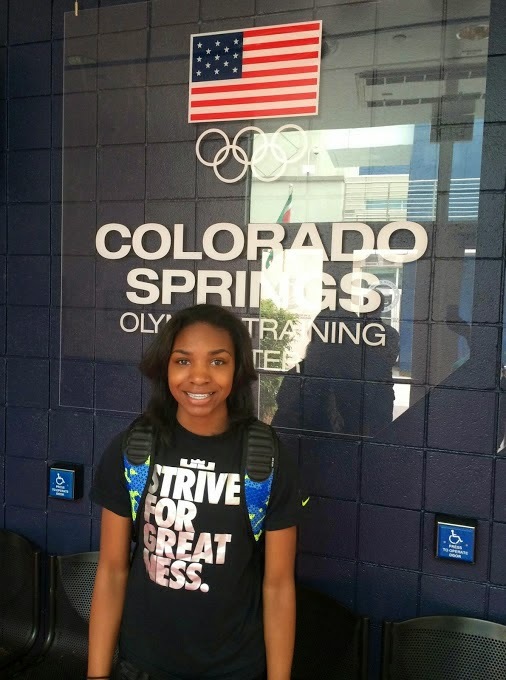 She has had a very successful AAU career with the national powerhouse iXCELL. NOW THAT SOME SCHOOL'S ARE CHOICE IN THE SOUTH JERSEY CAPE-ATLANTIC AREA, THERE WILL BE A LOT OF NEW FACE LIKE SKYLAR GLASS FOR INSTANCES. 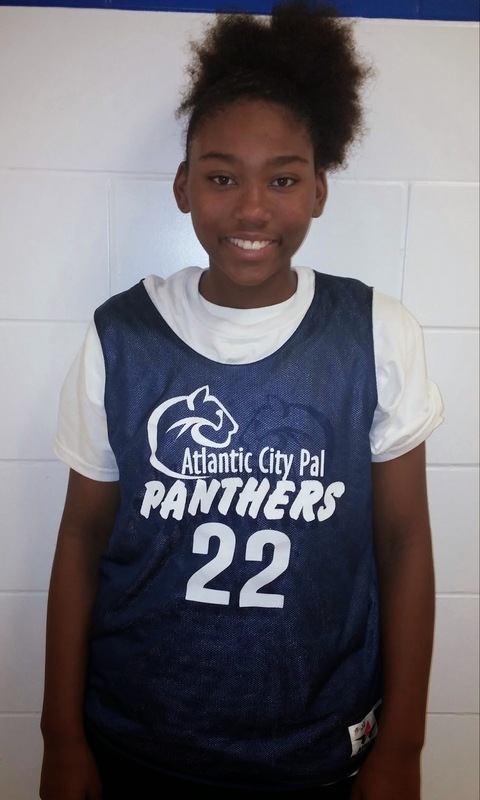 Gthing spoke to Glass Monday and informed us that she has transfer from Mainland Regional to Atlantic City High School, we ask her why the change, in she stated that right now Atlantic City was a better fit. 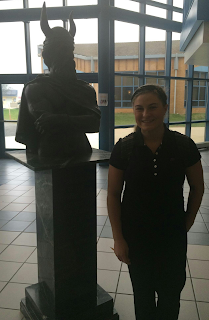 Skylar said now she has the opportunity to be on a bigger stage since the Vikings play in the bigger group, which is Group 4 in Mainland is Group 3 Glass stated that she is ready for the challenge. 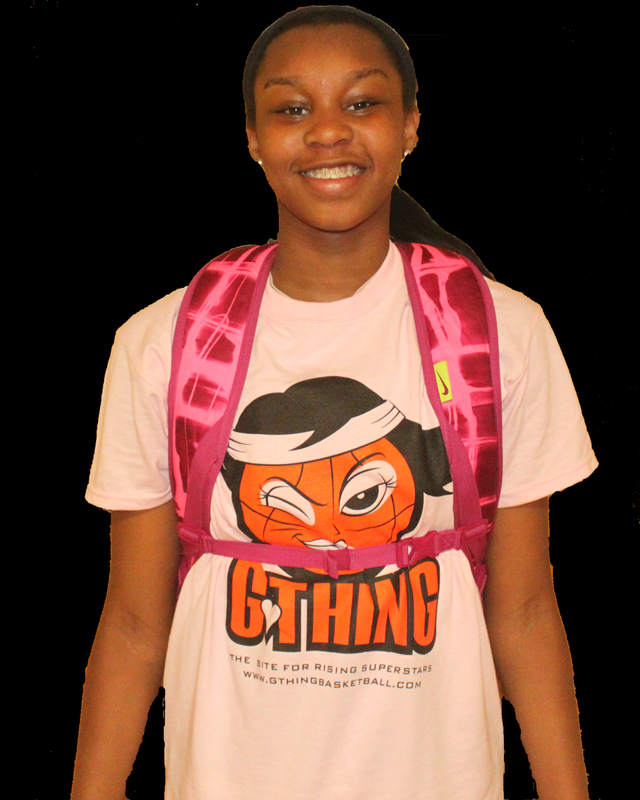 When Gthingbasketball saw her at Spooky Nock this past summer we notice that she has good ball handling skills and loves to play uptempo using her speed in strength to get to the rack, so when the season starts check back with us in we will let you know how she is doing in the big Group 4 now. PLAYING ON THE BIG STAGE NOW WILL LAUREN McBRIDE BE ABLE TO HANDLE THE FAME. To big for the small school, at 6'0 feet tall Lauren McBride finally realized that sometimes playing for a small school doesn't always workout as plan. She was attending South Hunderton High School which enrolls 350 student a year, they had a graduating class of 54 students for 2014. Lauren was the star of her team the last two years, as a freshman she nearly average a double double, McBride's breakout game was when her team played Point Pleasant Beach in the first round of the 2013 playoffs where she scored 26 points in had 15 rebounds and Gthing was there to witness it, her team lost because they couldn't contain Marina Mabrey and Katelynn Flatery. But now as a junior McBride decide to take her talent else where, which is Gill St. Bernard who is a big name school from North Jersey and who has put out tremendous talent over the years. So now that the McBride's pack up from Central Jersey in went up to Northern New,Jersey let see if the big fish can swim along with the other big fish in the same pond. 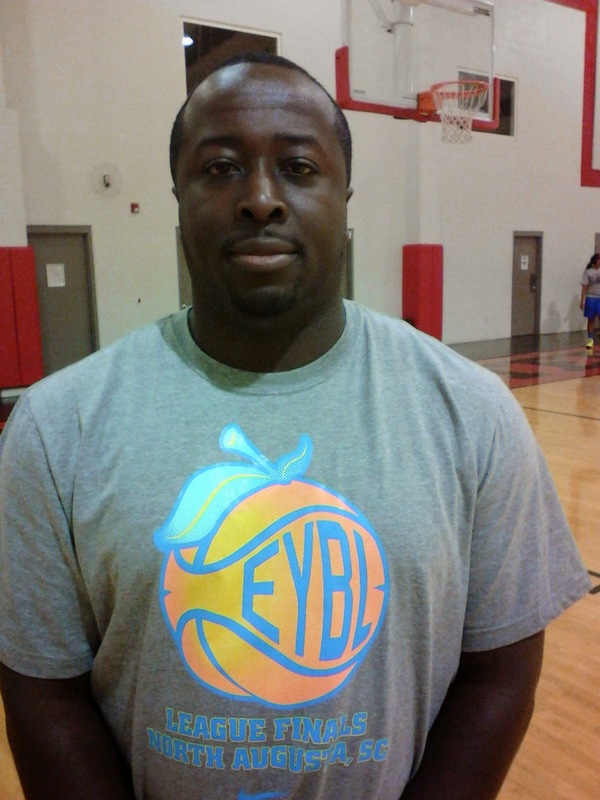 LIFE CENTER ACADEMY WOULD LIKE TO INTRODUCE THERE NEW GIRL'S BASKETBALL COACH HILTON CLARKE. Center also brought in two new recruits from New Zealand 6'1 Sophomore Tera Reed who is a wing player who is very athletic she has very long arms an can run the floor exceptionally well, well enough to play the 1 Thur 4 spots. Tera is thin but with her athleticism she should be able to help Junne and Ekhelar out around the perimeter. Michelle Perentini who too is from New, Zealand is a 5'10 Junior guard who is very strong, watching her during practices she should bring a mean streak to the Life Center Girls basketball team, she's very aggressive on offense in on defense, Perentini is going to be a nightmare match up at the guard position since she is so strong getting rebounds and alot of put backs around the glass. BREAKING NEWS, IT'S OFFICIAL BASKETBALL PHENOM NEW,JERSEY NATIVE CLASS OF 2018 HONESTY GRAYSON WILL BE ATTENDING HIGH SCHOOL AT RIVERDALE BAPTIST IN UPPER MARLBORO, MD. New,Jersey will be losing one of it's top players in the the country to Riverdale Baptist, which is in Upper Marlboro,MD. So don't look for Ms Grayson at Life Center Academy in New, jersey in the near future unless the Crusaders are in town. Gthingbasket would like to wish Honesty and the Grayson well. MORE RECAP FROM THE J.E.M CLASSIC ALL STAR GAME GOLD TEAM! 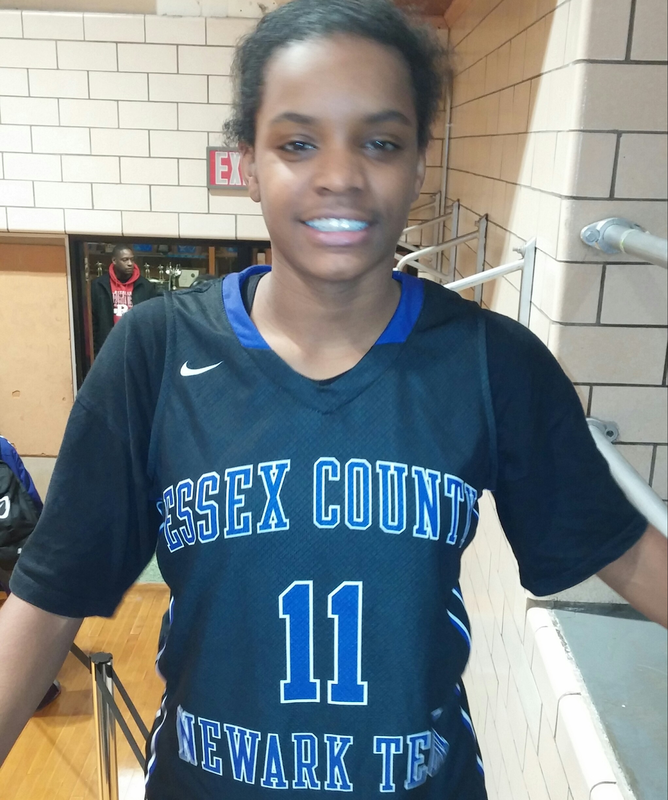 Imani was getting an 1's it seem like every time she crashed the boards, she always know where the ball was going to be, that is because she was playing on her home court which is Trenton Catholic where she will be attending next year. Lewis used her size and muscles to push some of the other girls around but luckily they were on her level in was not afraid to bang with her. Ayana Johnson Center (Elmwood,NJ)- The other 6'0 footer in this game, she dropped a few buckets in this ALL STAR game getting a couple of put backs from hanging around the rim. 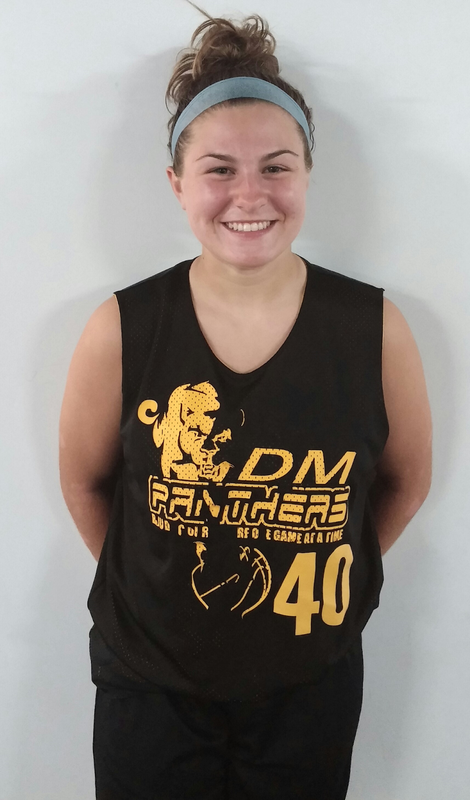 Maria Devincenzo Guard (Montgomery,NJ)- The small pesky point guard was all over the place in the J.E.M, she has a high motor in loves the game of basketball in plays both ends of the court very well. Amaya Santiago Guard (Elmwood Park,NJ)- The 5'8 guard is as strong as a ox, another NJ Sparks player that was in the Classic. She scored on a few occasion, Santiago is a great rebounder in can finish well at the cup when given the opportunity. 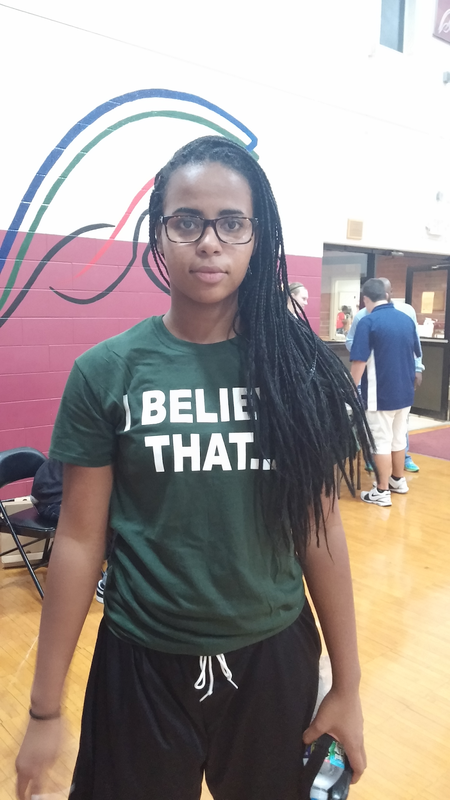 Nyah Garrison Guard (Brookhaven,PA)- The PA baller came to ball as most do when they get on the court in play, Garrison went hard in the game like the report said she would. They say she is coming off of a broken leg, but Gthingbasketball could never tell. MORE RECAP FROM THE J.E.M ALL STAR CLASSIC GOLD TEAM! The guard was dropping buckets at the J.E.M ALL STAR CLASSIC, she was taking her good old time to get warmed up but by the fourth quarter Burnett was draining three's from all over the court, showing coach Lewis-El what he is going to be missing this fall. Abbey Lawrence Guard (Caldwell,NJ)- Little Abbey was on point like a true point guard should be. The Newark Tech freshman got everybody in to the flow of the game be for she even took one single shot, but don't make no mistake about her she can handle her own, with handling the rock and scoring some buckets. Eve Crawford Guard (East Brunswick)- One of twins like the other has so much upside that it's crazy. Eve came in to the All Star shooting very well knocking down a couple of tray's early in late in the this game. Coach Tiny Green said on twitter that the Crawford sisters will be taking over the Shore Conference for the next four years. 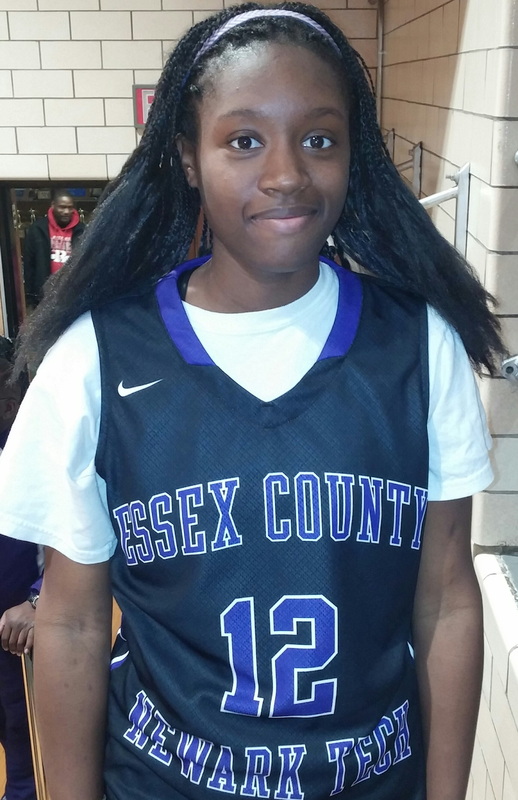 Ryan Robinson Guard (Ewing,NJ)- There were a lot of guards in this game, in Ryan showed that she was one of them. Robinson went to basket hard every time showing of her strength and her will to get to the basket. 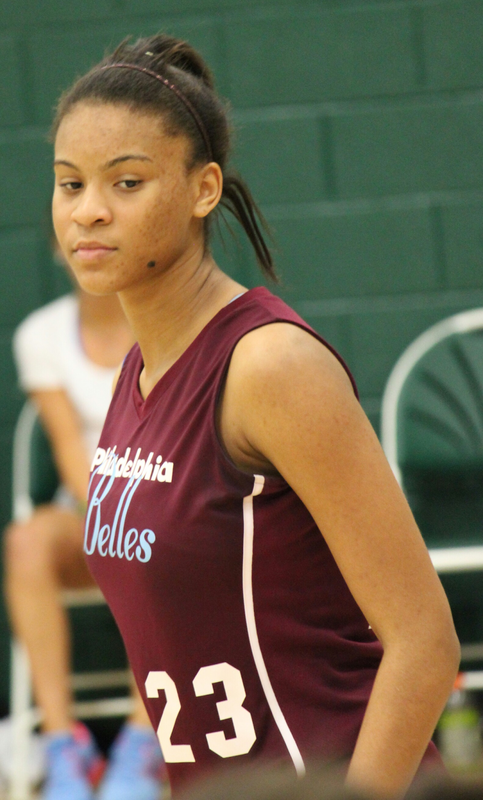 Natalie Rhine Guard (Bensalem,PA)- All round good guard, she definitely show that at the J.E.M. Rhine See's the floor well and runs it well, she has a nice handle in can get to the basket with no problem an has the ability to create her own shot if necessary. MORE J.E.M CLASSIC ALL STAR RECAP FROM GRAY TEAM! Honesty was another player who like Danielle is one of the top 8th graders in the state and in the country, that's right country that played in this game. She woo the crowd with some of her acrobatic moves going to basket, she has been highly sorted after from all type of school and colleges since last year. This is a huge year for Honesty at the Life Center since most of the seniors graduated and went on to college. Here are some more top performers from J.E.M ALL STAR game. 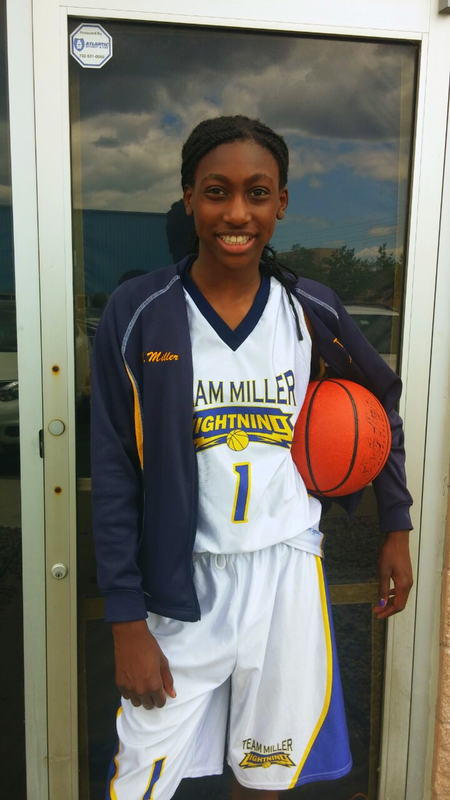 Miya Grimes Forward (Lawrence,NJ)-Ceo Mike Melton choose Grimes for MVP because of her hard work ethnic on the court, despite that there was a bunch of other talented girls on the floor, Miya was able to hang with some of the big dog's. Ryan Weiss Guard (Allentown,NJ) - She show her talent at the guard position this past weekend, Ryan played a study game controlling the pace and dishing the rock. 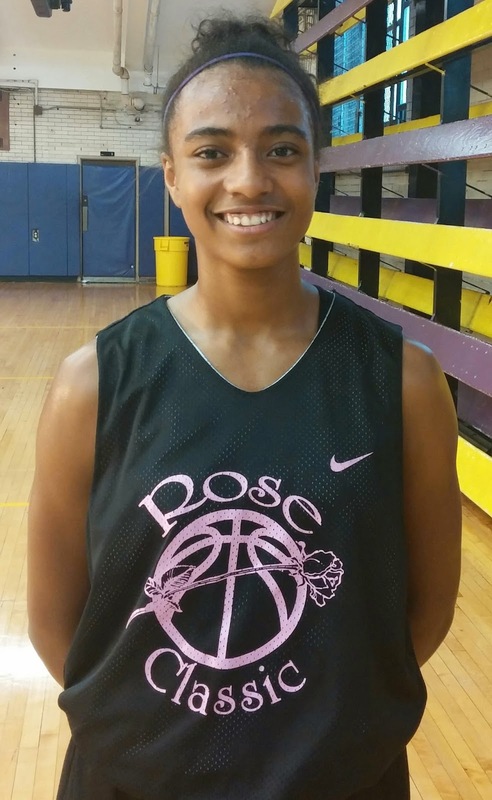 Kaela Reed Point Guard (Trenton,NJ) - The 5'1 guard was going straight to the basket no matter which tree was in her way, to be of the smallest player on the court, you wouldn't have never know that because when Kaela out there she plays way bigger than she looks. Qiana Vigo Guard (Ewing,NJ) - The strong guard came in playing hard right out of the gate, she drop a few buckets early in the game going hard to the rack. A nice size guard who will do anything to score. By the end of the game we definitely knew Trenton, NJ was in the house. This year was the first time Basketball Spotlight had a girls game, Spotlight hooked up with Gthing Basketball in they assemble twenty of the top talented girls around the state for the J.E.M Classic All Star game. 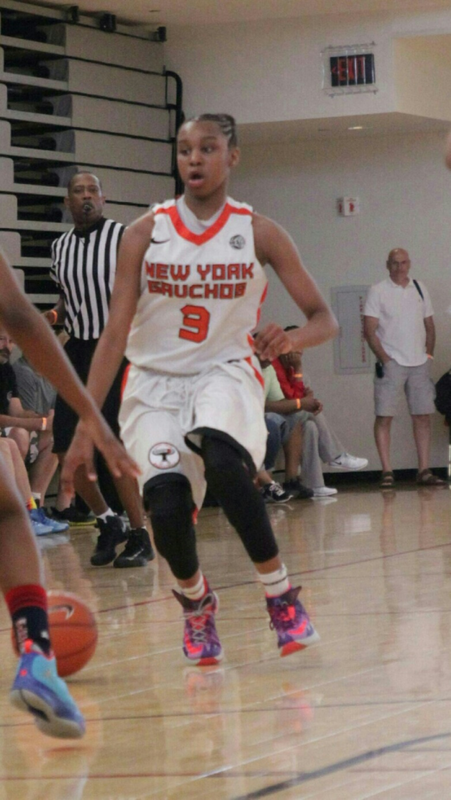 Danielle Robinson the Newark, NJ baller and 17U in under invitee for the USA team showed why she is one of the top 8th graders in the country, she has all the necessary tools to become a great D-1 player in the future. She ran the floor like a deer on offense and defense. 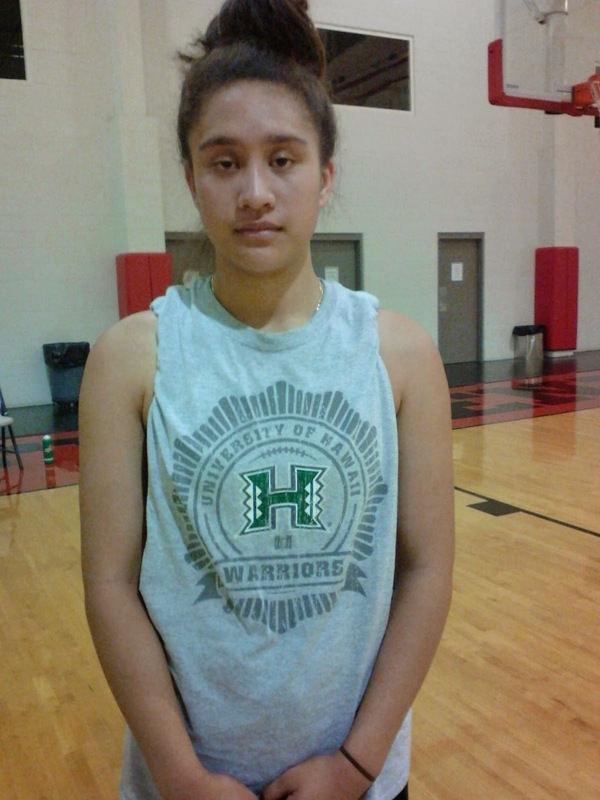 Robinson dropped buckets from all over the court, she is very strong in can get to the basket with ease. Molly Collins Point Guard (Lacey Twp, NJ) - The sharp shooter came to the J.E.M All Star Classic still shooting like she was doing all AAU season, Collins who can play the one or two should be fine going to the the level. Maryam Crawford Point Guard (East Brunswick, NJ) - A mere image of her sister they play almost the same type of basketball. Crawford started of a little slow but she started to pick up her pace as the game went along. Jaylenn Spaulding Forward (Lawrence, NJ) - The big played well around the rim this weekend, she isn't a true big but can play it if necessary and she showed that playing in the J.E.M All Star. Charlotte Stern Center (Voorhees, NJ) - Charlotte was a monster on the boards, she showed a lot of potential in this game letting people know you will be hearing her name for the next few years, she has a nice touch for a big also. DOWN AT THE CHIP WERE THE DM PANTHERS TRYING TO REBOUND FROM A TOUGH SCHEDULE AT THE 17U NATIONALS IN WASHINGTON,DC. Gthing Basketball was in the building supporting it's hometown team the DM Panthers at the Blue Chip Tournament in Manheim, Pa. They started of a little slow but was able to pick up some momentum later in the tournament. Casey Thomas Center (DM Panthers)-This is Thomas last year on the AAU circuit, she didn't want to go down without a fight. Casey had a rough start in the first game but pick it up in the rest of the them, she was a beast in the paint, scoring and rebounding. Thomas showed a bunch of low post moves showing off her size and strength at times over powering her opponents. Gracie Sacco Guard (DM Panthers)-The young guard went in did her thing this weekend at the Blue Chip Tournament, she showed her great ball handling skills going around and threw different defenders time after time, Sacco has a killer cross-over and a step back jump shot that will leave you watching with your mouth wide open, Gracie will be one of the cores to the Panthers team for the next few years in then some. 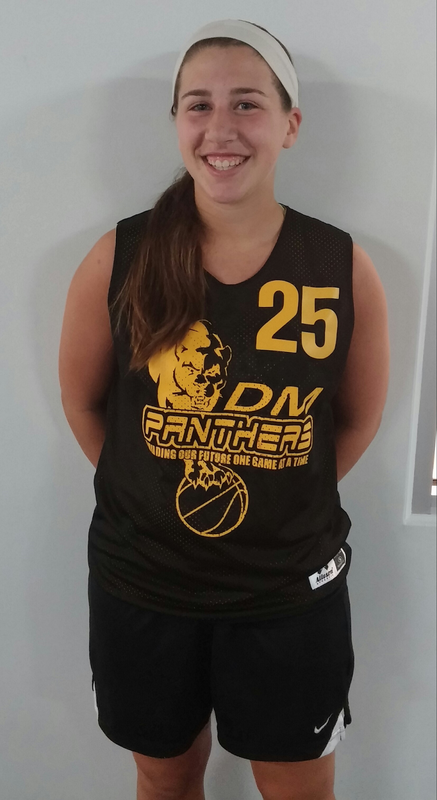 Skylar Glass Guard (DM Panthers)- Another young guard who played along side of Sacco this weekend at the Blue Chip tournament, she came from out of know where but when it was all said in done people in the crowd wanted to know her name. Glass is the type of guard who loves to control the offense, she has a nice pace with her game but can pick it up at anytime on the floor. Skylar can handle the rock, she was also splitting defenders and going in and out of traffic with ease, the Panther even went coast to coast on a few different occasions letting people know she is the next up in coming DM Panther. Gthing: What grade would you give yourself for this past AAU season? Kylee: For this AAU season I would probably give myself a B. During, my season I had some games where I played really well and scored a lot of points. But one of my goals was to become a better passer and see the floor better and I feel I am making progress in that area. However, it would be tough to give myself an A because our team did not win our division in Jr. Nationals. And like any other player I still have areas that need improvement and I still have a lot to learn. 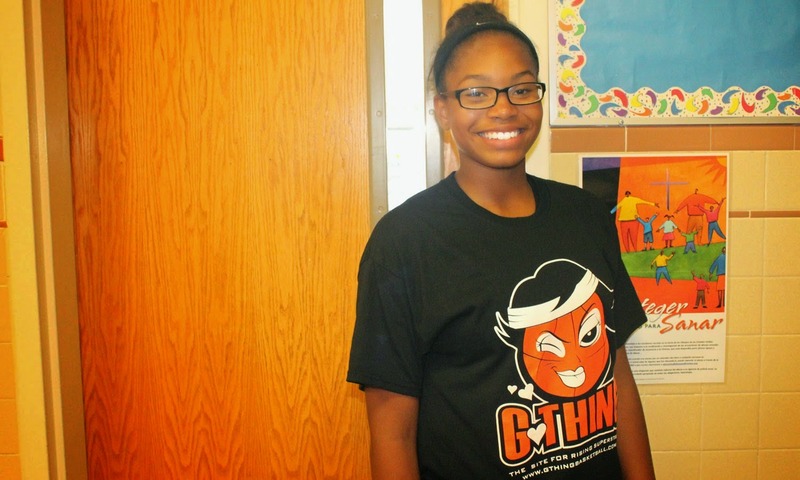 Gthing: When GThing last watched you this AAU season, you looked great after some time off; why? Kylee: I think one of the big reasons why I was able to bounce back after being sick was because I was able to start my middle school season on time. My coach at Belhaven- Brian Coyle – has really helped me develop my skills as a basketball player and I was lucky enough to start as a 6th grader on his varsity team that went 32-2 on the season. I also tried to get sessions in with Tori Cavalieri and Wayne Nelson. These 2 guys helped me excel my game in so many ways and always introduce me to new and challenging drills. Gthing: We heard about your illness; has it affected your game at all? Kylee: Well, it slowed me down for a bit but now I’m fine. In some ways I think the time off helped me to appreciate the game more and realize how much I missed it. Gthing: Now that your one of the top 6th graders in the state of New Jersey; do you plan on following in your mothers footsteps as a basketball star? 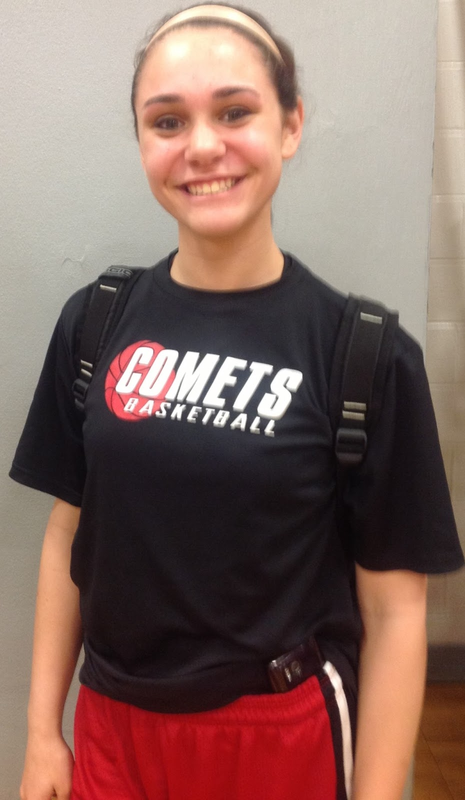 Kylee: I appreciate the compliment because one of my goals is definitely to be one of the best players in the state. As far as my mom goes, she has always worked really hard to help me be the best player I could be. I remember when she coached my first AAU team when I was in 2nd grade! With her being a D1 player at U of Delaware, my goal has always been to reach that as well or even higher; I would love to play for a major college program like Notre Dame, UNC or UCONN. GThing: We know you come from a family of athletes; so if you were a boy would you follow in your dad’s footsteps as a football player? Kylee: This question made me laugh. Well, I guess if I was boy I would dream about making it to the NFL like my dad. I like to play physical in basketball so I guess football wouldn’t be that much different. Hahaha My dad was always into the mental aspect of the game and I think that’s what helped him as an athlete so he always tries to talk with me about that stuff. Gthingbasketball would like to congratulate Team Expolsion on there aau run this year. This was there first year on the aau circuit and they went out in made a name for themselves, they play on the 6th grade level and coach Blunt has them playing above in beyond there expectations. 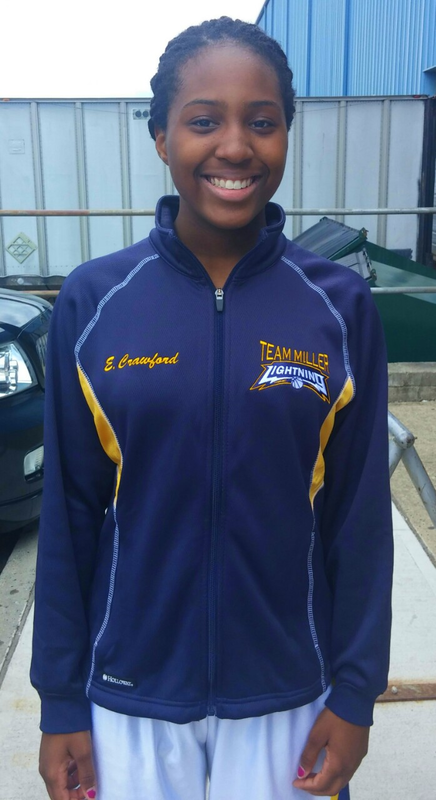 Profile: Almost a mere image of here sister, Eve has been putting in work for Team Miller so far this year. Crawford has a nice mid-range game, she can dribble under pressure, create her own shot, and she's not afraid of contact. Monday - This afternoon I went to Michael's an arts and craft store with my mom, her friend and my sisters. It was a lot of fun and nice arts and craft stuff there. After that I went to the basketball courts and worked on my foul shots. Tuesday - Today wasn't that busy. This morning I went to the store with my mom. Later on I played 2k14 with my brother. After that I watched the NBA finals game Heat vs. Spurs. Wednesday - This afternoon I went outside and dribbled the ball for a while. Then after that worked on my jump shot. Later on I just relaxed for the rested of the day. Thursday - This evening I had basketball practice. Today I thought we had a good practice, we all hustled and worked hard. We worked on a lot of things that would help us get ready for this big tournament in Hershey next weekend. Friday - This morning ate breakfast, then prayed. Later on I went Jumah, it was a nice khubah. After that rode my bike at the park with my cousins and sisters. Saturday - Today I really do any thing. I played my little brother in 2k and madden. Then watched tv and chilled for rest of the day. Sunday - This afternoon I went to my little cousins house for little while. We played 3 on 3 at the basketball courts. You already know my team won but it was fun. After that went home and watched the Heat and the Spurs game. The heat loss by like 18 points. I was mad that they lost. I really wanted them to win the championship this year. Monday - Today I had Social Studies final's. I thought I did really on it. After finals at lunch. Then went home because we a half of day of school. Later on went outside with my brother and his friend and played basketball. After that went in the house and chilled for the rested of the day. Tuesday - This morning I had English finals. I did good on it and found out I got a B on it. I was happy. Wednesday - Today I had Math finals and I did okay on them. I hope I get a good grade on it. Later on today I had gym for 2 hours. The first hour I played 5 on 5 with my friends. Then the next hour I did my own workout. 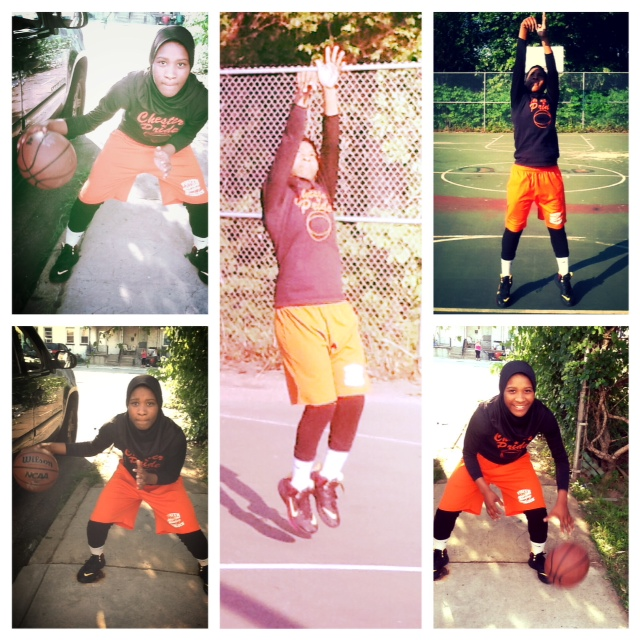 I worked on my shooting and worked on some nice basketball moves. After that we had lunch and had some Rita's. I had my favorite kind Cotton Candy. It was so good. After that went home and relaxed. Thursday - Today is my last day of school. I have Science finals today, my last final. The Science final was kind of hard but i tried my best and hope I did good on it. This evening I had basketball practice. We had a good practice with the few people that we had. After practice went home and watched the Finals. The Heat against the Spurs. Friday - This morning I went to the Track field. I ran 2 miles ( 8 laps ). After that I jumped rope for 10 minutes. Then took a break, then did 200 crunches, 50 push ups and 50 muscle builders. After that took a break. Later on went home and took a nap for a little while . Saturday - Today wasn't busy as I thought it would be. This morning I went to a basketball workout. It was a fun 2 hours workout. Later on after the workout went home and relaxed for the rested of the day. Sunday - This morning I work up prayed far and ate breakfast. After that cleaned my room and got dressed. Later on rode my bike at the park and had a water balloon fight with my mom, brothers, and sisters, it was really fun. After went home and went over some Quran. Then watched the Heat vs the Spurs game. It was a good game. NOW THAT THE AAU SEASON HAS OFFICIALLY STARTED, GTHINGBASKETBALL WOULD LIKE TO HIGHLIGHT A FEW GOOD PLAYER'S FOR 2014. 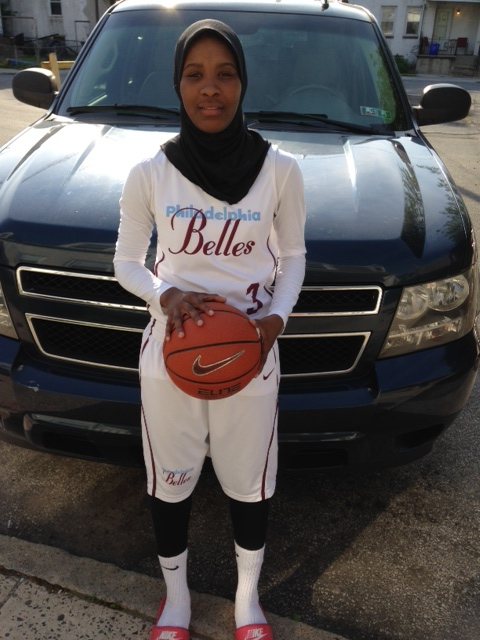 The Skinny: La-Buckets has just returned to her Belles team after trying out for the 17 under Women's basketball team. Lauren is a smart point guard who can do it all when it comes down to the guard position, a excellent defender who loves to play defense and has the same attitude for offense. 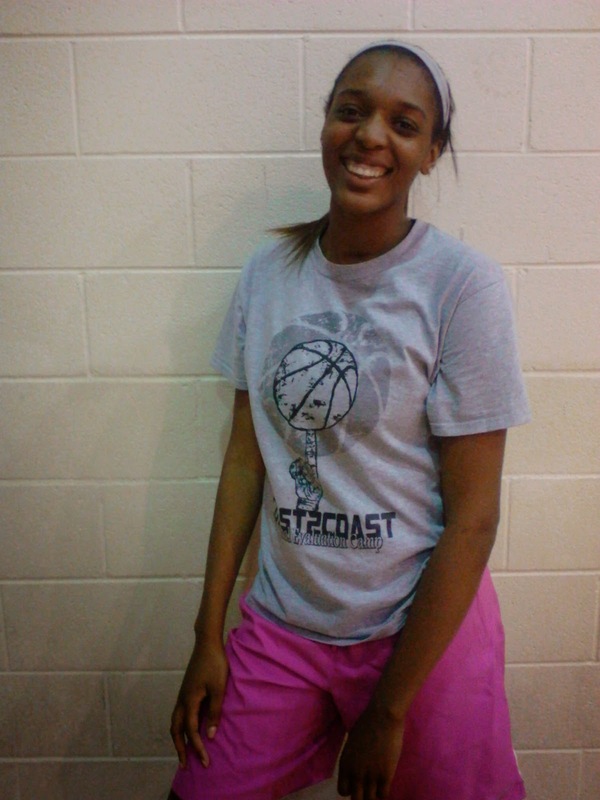 The Skinny: She is a 5'11 Combo Guard who has a crazy long wing span which makes her like 6'2. Diamond is very aggressive on defense against her opponents, she normally has a good size advantage which makes it hard for smaller guards to guard her. The Skinny: Jekot took her Cumberland Valley High School team to a State Title this year. Kelly is a outstanding guard who See's the floor very well because of her size, she is very strong and can get to the basket with ease. The Skinny: May Sharif is now playing with the Belles after 4 years with the Philly Comets. She is now able to play the point position a position she has been dying to start at. Money is very athletic, in a great rebounder. One thing about May that she is a tough defender and can guard others at the 3 thru 4 spot because of her athleticism. The Skinny: Mary Kate is one South Jersey's top player's if you ask Gthing. She took her Gloucester Catholic High School team to the South Jersey Group 4 Non Public A Championship, despite the loss Mary was able to drop 30 points. She has a ton of moves around around the post area, Gedaka is a great finisher around the basket and she is a good rebounder. The Skinny: Honesty is one of the top 8th Grader in the country, she plays on a NY Gauchos Elite team that is already loaded with talent, but Grayson is use to those type of situation because she was the only 8th grader to play major minutes on her Varsity team which had tons of talent last year. She has great ability, on the court she is always calm but don't blink because she will blow right past you with her speed. Honesty has great ball handling skills to go along with a great jump shot. The Skinny: Even though Gthing hasn't ever seen her play live, we heard from a very reliable source in the Dirty South that she is official. They say she has cat like speed when on the court, Nichel has very long range and can drain the three ball with ease. This past school year the freshman went out and put her name on the map at the Varsity Level. The Skinny: She is 6'3 in is still growing, this giant made it to the third cut of the 16 in under USA Women's Basketball Team last year at the age of 14. Jaala is a outstanding post player, moves well without the ball, loves to run the floor, a good defender with good shot blocking ability. The Skinny: 5'9 6th grader who loves the game of basketball, after a few months away from the game, she is now back on the court, doing her thing. 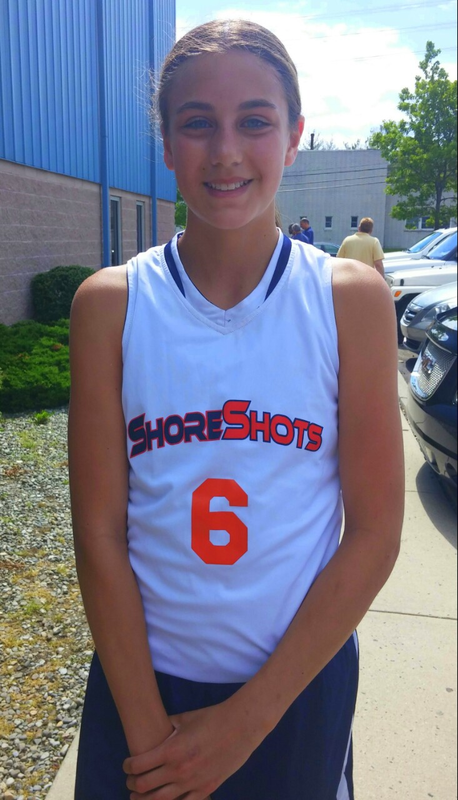 She is very long and agile, Kylee loves defense, good defender, who can jump for her age, high motor, rebounds well and has a few moves.